We did it. We survived another year. We never properly introduced ourselves to y’all. Well, we’re fixing that today. Don’t Use Excel to Track Your Reading. Use Google Forms. We’re about to take your reading log into the year 3018. Posted byDani January 23, 2018 January 12, 2019 Posted inBlogTags: analytics, authors, books, excel, google, reader log, readingLeave a comment on Don’t Use Excel to Track Your Reading. Use Google Forms. BCL Chat: Has a Book Ever Changed Your Life? There’s been so much foolishness happening lately. TALKING ABOUT YOU, JOYCE CAROL OATES. 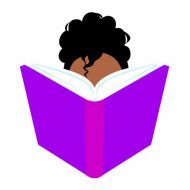 Leave a comment on BCL Chat: Has a Book Ever Changed Your Life?